Hello Guys, I will introduce The biggest cryptocurrency multiwallet, that is Zantepay. As the popularity and mainstream acceptance of blockchain and crypto currencies increase, traditional investors have been looking for more exposure to these digital assets and blockchain-based technologies. However, there are certain challenges when it comes to integrating the digital currency world and the world of traditional finances. Providing a seamless exchange between crypto and conventional assets is the underlying philosophy behind ZANTEPAY Initial Coin Offering (ICO). ZANTEPAY ZANTEPAY multi wallet is under development at the moment and will be released in Q3 2018. The card will be available in Q4 2018. 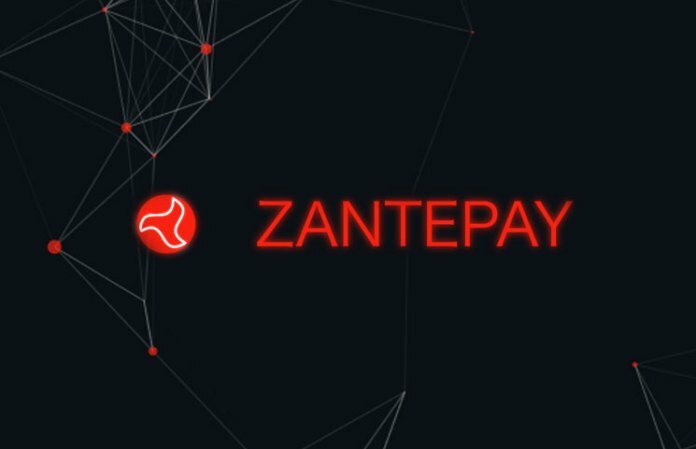 ZANTEPAY Pre-ICO starts on 15th of March 2018, followed by ICO throughout 15th of July 2018. ZNX tokens will be traded on public exchanges shortly after ICO is finalized. ZNX (ERC 20 platform token) is designed to become the new mainstream coin. It will be acceptable anywhere Mastercard ® is. It will allow users to get rewarded referral, affiliate and cashback bonus, as well as pay the fees, related to card maintenance and exchange. Free conversion from BTC, ETH, LTC to ZNX and 50% discount on all the services within the ZANTEPAY ecosystem. ZANTEPAY OÜ is incorporated in Estonia, named ‘the most advanced digital society in the world’ by Wired. We use partnerships with 100% Estonian companies, from the e-residency platform, pre-paid cards issuing bank to the cyber security and trading algorithm providers. The ZANTEPAY wallet is the core product that lays as the foundation to all existing feegenerating services. We will offer a hosted crypto multi wallet (BTC, LTC, ETH, ZNX support, more crypto currencies will be added at the later stage) and integrated simple exchange services. 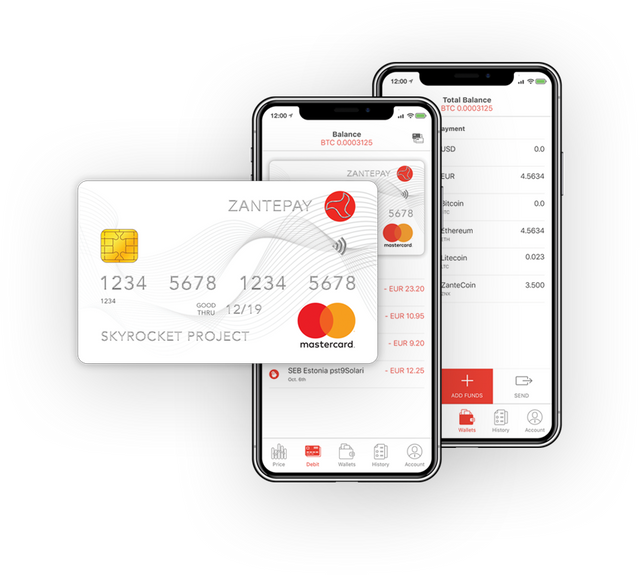 The ZANTEPAY pre-paid card is going to be launched in late 2018, to become one of the fastest penetrating digital currency cards on the market. It will allow any BTC, LTC, ETH, ZNX crypto currency holder to spend their coins, online or otherwise, anywhere that accepts traditional payment cards. This, paired with the digital wallet, allows users to utilize their crypto currency in day-to-day life. In order to provide best customer experience and low fees, we will be building ZANTEX exchange. The development start is scheduled for 2019 Q3. ZANTEX exchange will be also integrated with ZANTEPAY wallet. Token distribution Debit Card pre-ordering start. Debit card launch. Bitcoin, Litecoin, Ethereum and Zantecoin integration with Debit card and Wallet.